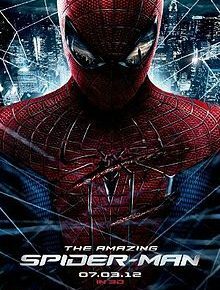 Five years ago, the original Spiderman trilogy starring Tobey McGuire came to an end. The final instalment to the trilogy wasn’t well received and the reset button was pressed. Fast-forward to 2012 and we have a new Spiderman, a new villain and importantly a new title. The Amazing Spider-Man tells the same story as to how and why Spiderman evolves but brings in a new aspect about Peter Parkers (Andre Garfield) father. When Peter finds a clue as to why his father disappeared during his childhood, he is taken on the journey to try and find the truth. This puts him on a collision course with Dr Curt Connors (Rhys Ifans), his father’s former partner. The casting for this film is perfect. Andrew Garfield (Social Network) plays the role of both Peter Parker and his alter ego really well. He can pull off the geeky aspect along with the cocky and confident side well without it becoming unbelievable. He is also very believable as seventeen-year-old boy even though he is almost twenty-eight. Emma Stone (Easy A) is well cast as Gwen Stacey. She also plays off the teenage girl role well and can pull off the confident, smart and yet emotional side to her character strongly. Finally Rhys Ifans (The Boat That Rocked) plays a good bad guy. He is believable as the vulnerable Dr Connors and transforms into his alter ego The Lizard perfectly. The cast is then well rounded off with Martin Sheen as Uncle Ben and Sally Field as Aunt May. Some of the best parts of the film take place during Parkers transformation to Spiderman. They are far better than the original film and also add some humour to the overall film. 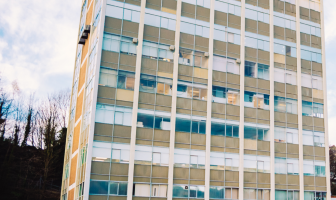 The film is set in New York and this adds to the beauty of the film. A lot of the Spiderman scenes take place at night and the setting is beautiful to look at. New York is a great setting for these types of film and scenes of Spider Man swinging through the brightly lit city at night look amazing. 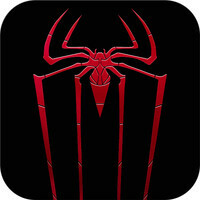 The Amazing Spider-Man is also presented in 3D. In all honesty, the 3D isn’t amazing but there are aspects, which are great and stand out. The only other problem with the film (and its hard to call it a problem) is the fact that it is the same story that has previously been told and some audiences may see this new Spiderman as coming too early after the original. 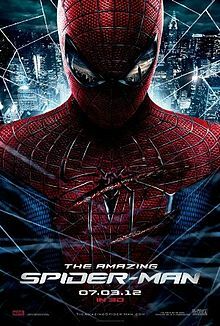 Overall The Amazing Spider-Man is a great reboot of an old franchise and will be great for new blood to watch and enjoy. If you get chance to see the film in IMAX 3D then definitely take that chance. The IMAX experience makes the film ten times better. The film looks great and is presented well. As the second superhero film released this summer then it lives up to expectations and a second instalment is already due for release in 2014.